It’s widely accepted that the universe began with a Big Bang, in which the matter that formed the universe exploded outward from one tiny point, causing stars and planets to gradually form. Although scientists have discovered evidence of the first stars in the universe, it’s still a mystery what, if anything, came before the Big Bang. But now, renowned physicist Stephen Hawking has a theory about what happened before the dawn of time. In a video published by Popular Science on March 2nd, noted astrophysicist Neil deGrasse Tyson interviewed Hawking about what space was like before the universe began. Hawking’s claim about the pre-Big Bang is surprisingly simple. 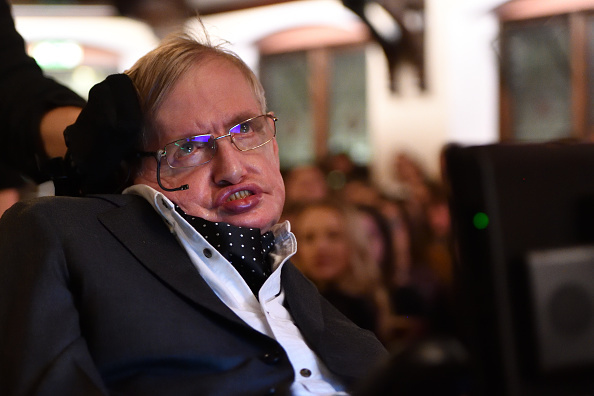 "Nothing was around before the big, big bang," Hawking told deGrasse Tyson. He went on to explain that the four dimensions of the space-time continuum were contained in a closed, but boundary-less shape — like the surface of the Earth. The physicist said that the moment of the Big Bang could be represented by the South Pole, and, just like nothing is south of the South Pole, neither space nor time existed before the Big Bang. Hawking has also written about the idea of what came before the universe on his website. In one lecture called “The Beginning of Time,” he puts it even more simply than his explanation to deGrasse Tyson. "Since events before the Big Bang have no observational consequences, one might as well cut them out of the theory, and say that time began at the Big Bang," he wrote. Of course, Hawking’s theory about the dawn of time is just one of many. According to the Washington Post, one of the most prominent ideas besides Hawking’s is the “Two-Headed Time” theory. In this explanation, scientists have speculated that space and time worked backwards for millions of years, contracting until the Big Bang occurred about 14 billion years ago. Then, after the Big Bang, the universe began expanding outward. Realistically, it feels like we’re still light-years away from figuring out what came before the universe, but nevertheless, Hawking’s idea is fascinating. We always learn to think differently from Hawking, and we can’t wait to see what he will discover next.